Mt. Hermon is the highest and the most unique mountain in the country. It stands at the southern end of the 150 km (83 mi.) long Anti-Lebanon Range and ay the north end of the Golan Heights. The part of the mountain under Israel’s control since 1967, covers only 70 sqare kilometers (28 sqare miles). The highest peak is 2,200 m. (7,300 ft.) in elevation. In the winter, it is covered with snow that can remain atop the peaks until the end of June. Naturally, the climate on the mountain is much cooler than in other places. Consequently, fauna and flora are different and unique from other places in Israel. Because of its unique appearance and other qualities, Mt. 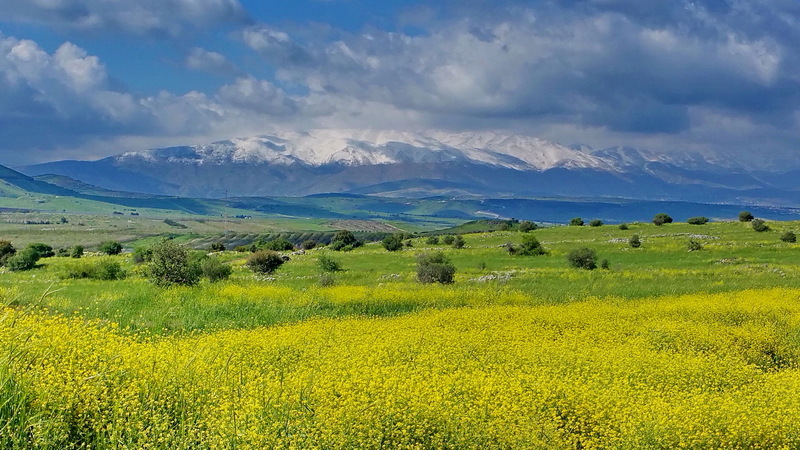 Hermon was considered a holy mountain from very early times. The Canaanites called it Baal Hermon (Baal is the most important Canaanite god), and it appears as this name in the Bible. Even the root of the name Hermon comes from a word that means “holiness”. There are Jewish and Muslim traditions about Abraham accepting his covenant with the Lord (Genesis 15) on the mountainside. Other reasons for being important? Yes, there are at least two of them. The most important reason is that the mountain supplies much of Israel’s water. The enormous amount of rain and snow goes into the mountain, and appears at the foot of the mountain as three very large springs. These three springs, Dan River, Banias and Hatzbani, create the Jordan River. The other reason is strategic. Located at an extremely high point along the Syrian border, it is an excellent site for an Israeli intelligence position which, indeed, is built there. Both a lot and very little. You can hike around the mountain for days, but this requires a special permit from the military. 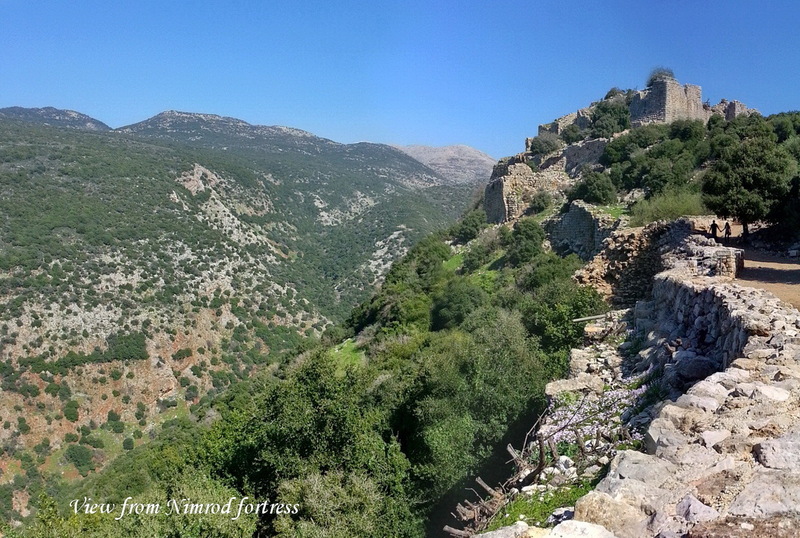 What we usually see is the Nimrod Fortress, located on its southwestern slopes.